This window had a football through it in early 2009! This was a great opportunity for my customers to have a change. They wanted to obscure the view to give them some privacy but to make the most of the sunlight which streams through this window in the morning (on a good day!). 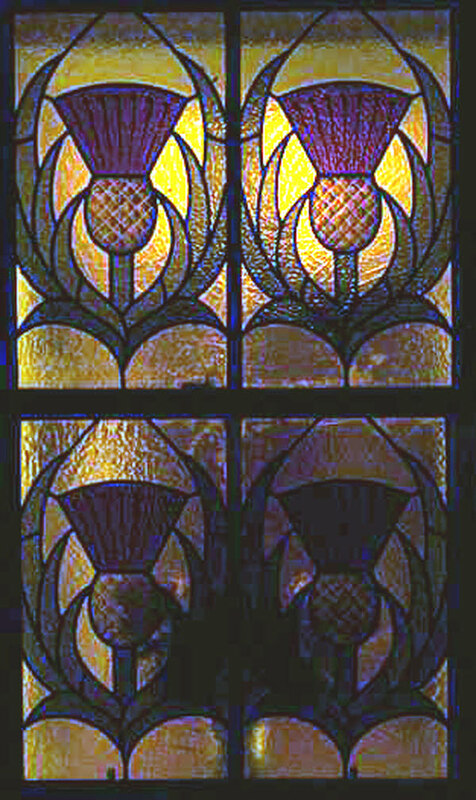 I designed the panels using the Scottish thistle emblem which is repeated and mirrored. They are cut in mostly English Muffle glass which gives a great level of obscurity and also the range includes some beautiful colours. 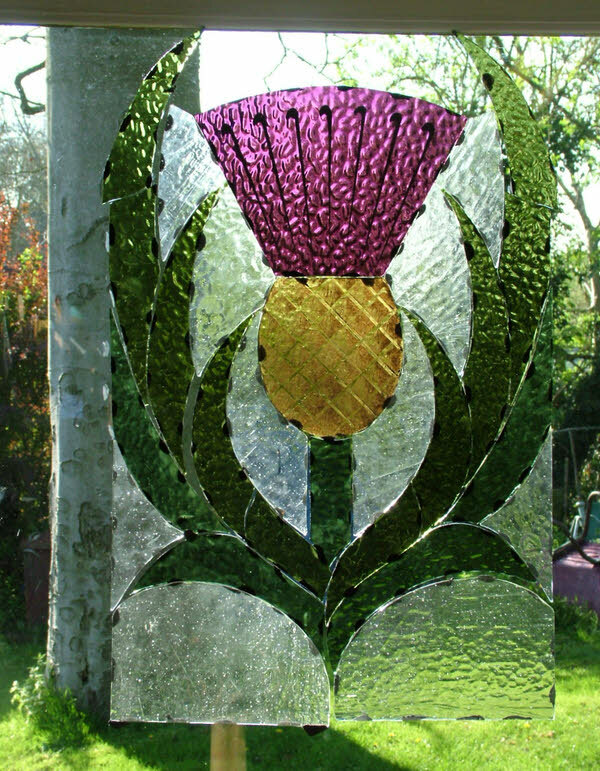 There is some painting on these panels too which I applied and then fired in the traditional manner making these traditional stained glass windows. 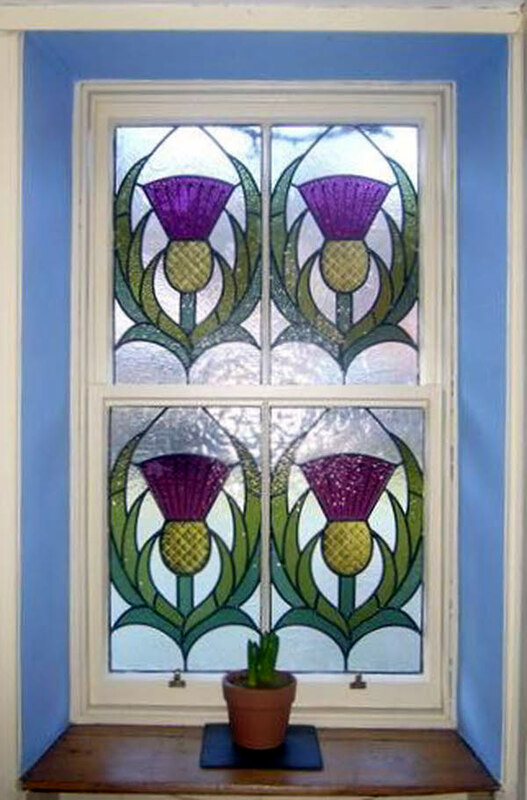 These panels were then crated up and shipped off to Angus for a local glazier to fit.